Other Dimensions: Sectional measures 137 inches from left arm to right arm. Left-facing chaise is 91 inches deep and right-facing chaise is 64 inches deep. 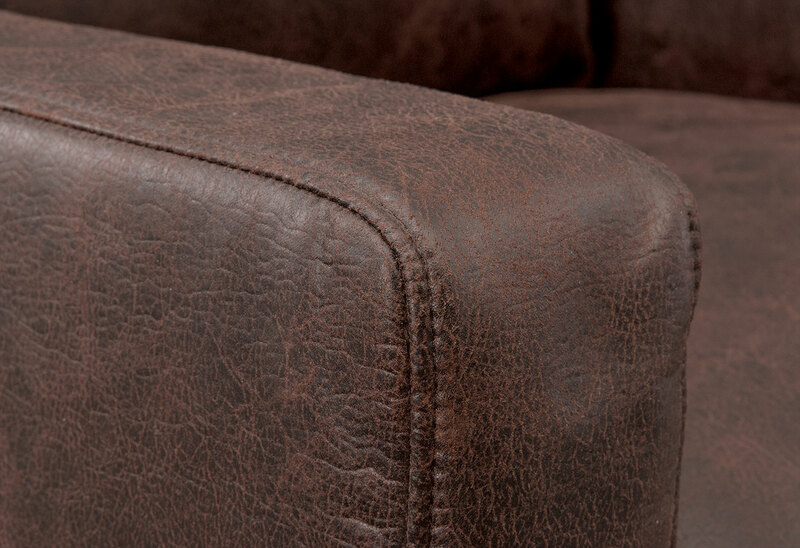 Seamless lines on the cushion tops provide an immaculately smooth look. Product Description Simple Sophistication. Evoking mid-century modern design, the Eastwood living room set is luxurious comfort at its best. Clean lines, welted trim, track arms and button-tufted back cushions angled at a comfortable repose are all hallmarks of a modern, retro look. Ideal for entertaining or simply relaxing after a long day, the cushions are constructed of high-density foam core wrapped in versatile, beige polyester fiber, ensuring long-lasting shape and support. 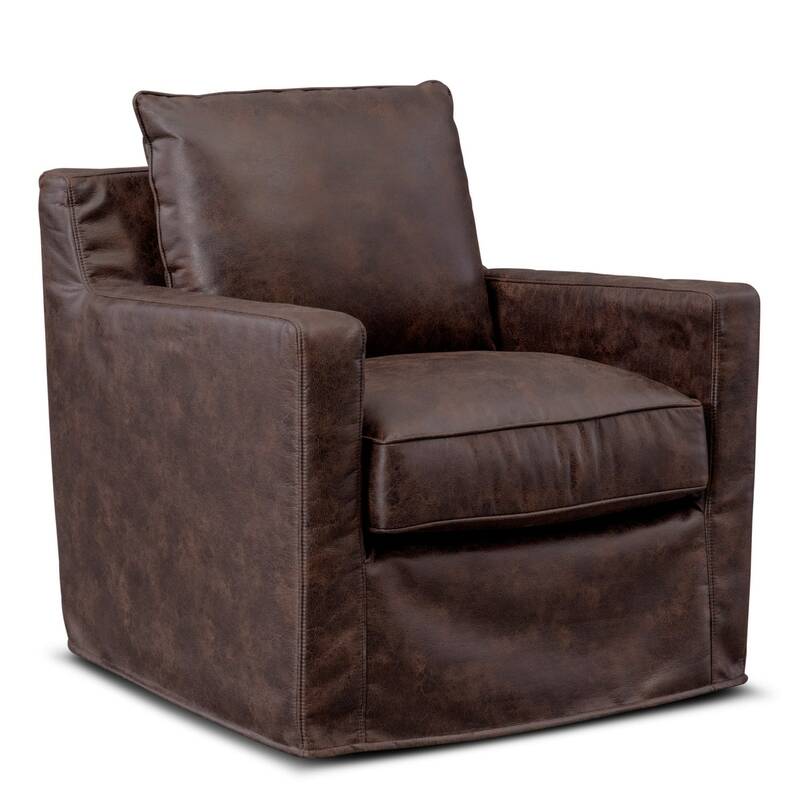 The swivel chair complements the warm and welcoming aesthetic with a slipcover frame and rich, brown leather-like upholstery featuring a weathered finish. Unique Features: Sectional's welted trim, accent pillows and button-tufted back cushions provide a sophisticated designer look. A rich, walnut-finished base on the sectional beautifully contrasts the light upholstery. The slipcovered chair frame pairs with the track arms to accentuate clean, modern lines. 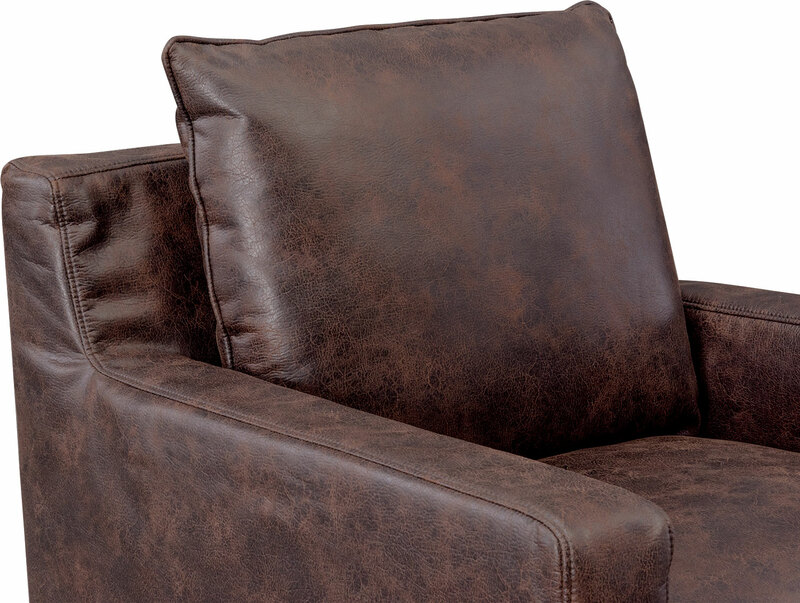 The swivel chair's decadent brown leather-like upholstery features a weathered design. 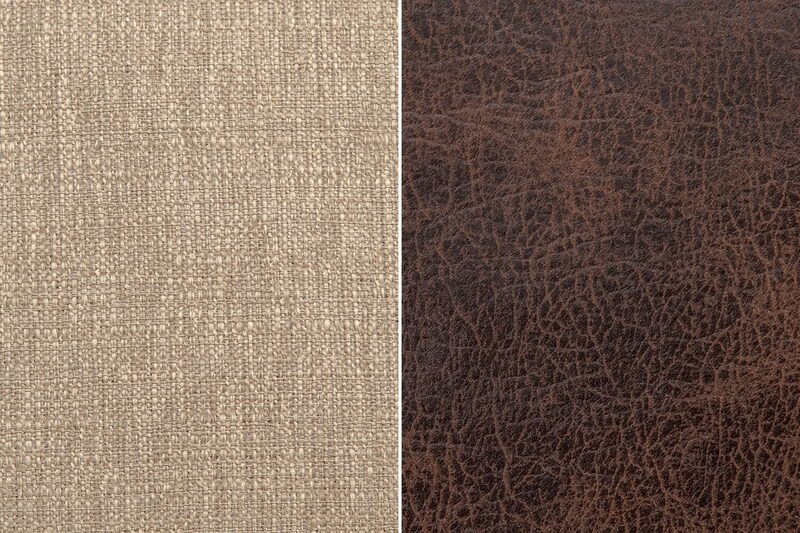 The beige polyester upholstery is easy to maintain and offers a clean, neutral look with your modern design scheme. Construction: Frame is designed of engineered and hardwood solids for long-lasting resiliency. Cushions: High-density cushions feature a foam core wrapped in polyester fiber. 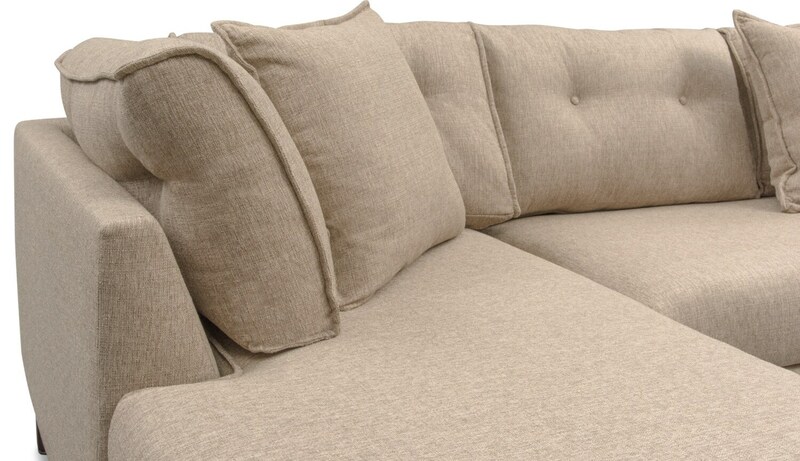 Fabric Content: Sectional: 100% polyester. Swivel Chair: 75% polyester, 25% polyurethane. Springs: 8.5-gauge sinuous wire springs prevent cushion sagging and pooling.